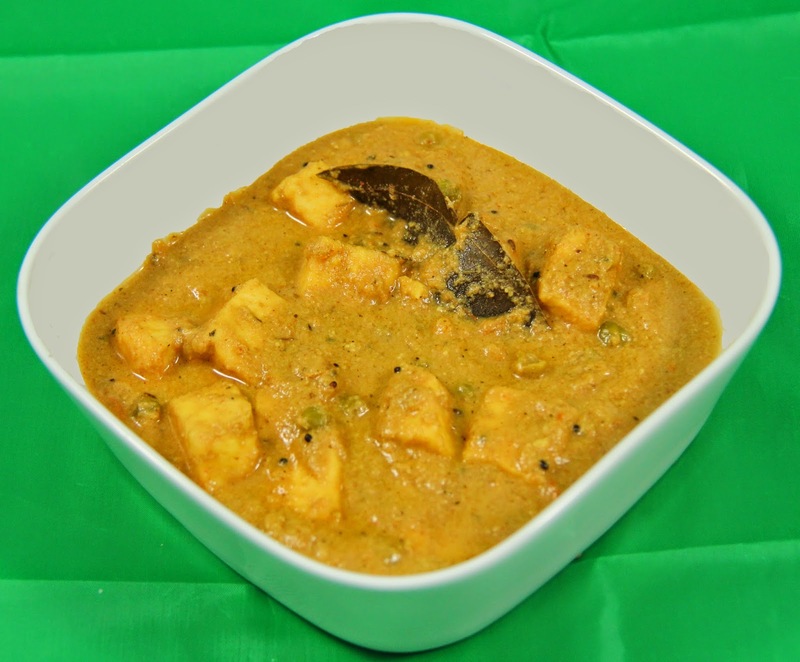 This recipe is an Indian cottage cheese and peas cooked in a creamy nut based gravy commonly served across all Indian restaurants.The gravy takes a little patience but is worth the wait and effort. 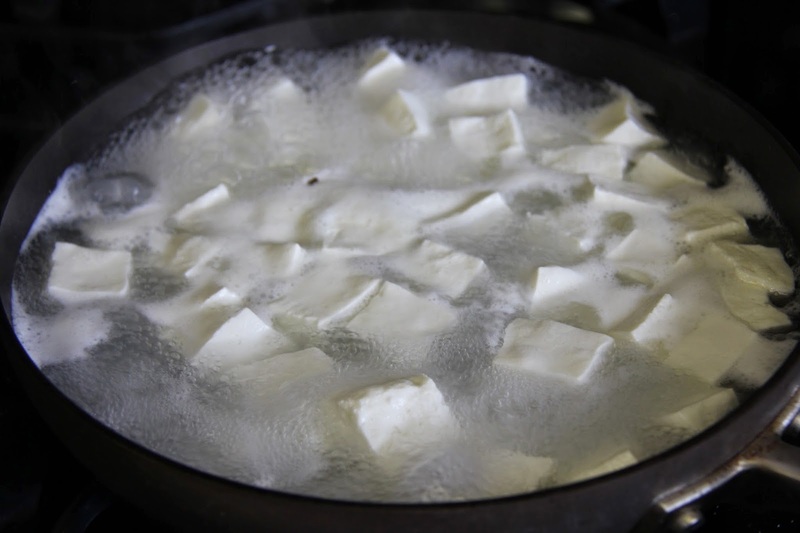 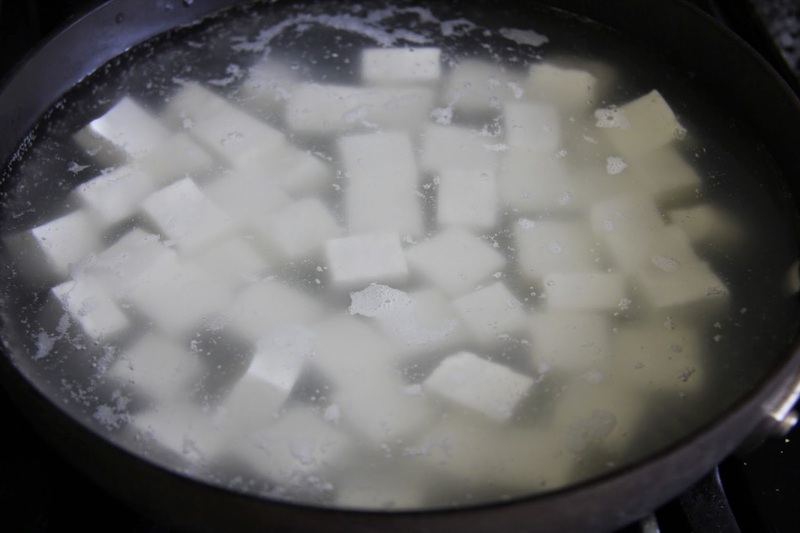 3.In a pan,bring 3 cups water to a boil.Add the paneer cubes and let them boil.When the paneer starts to float switch off the stove and drain the water and keep the paneer aside.This is not normally done traditionally but this step adds airiness to the paneer and makes it easy to absorb flavor. 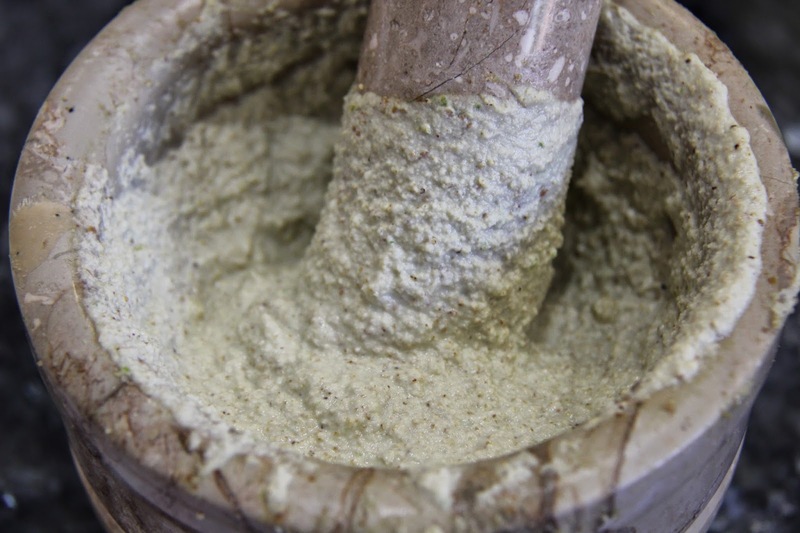 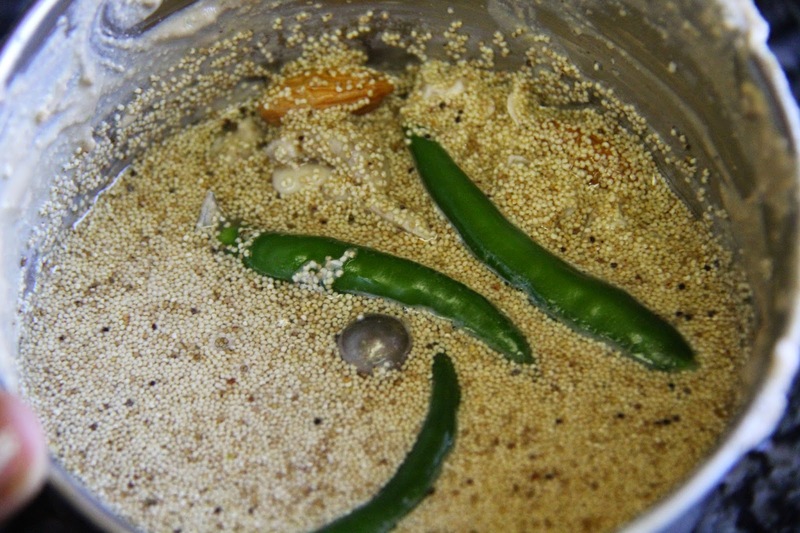 4.Remove the cashew and almond from water and grind them in the mortar or pestle or spice grinder along with the poppy seeds and green chili to a fine paste. 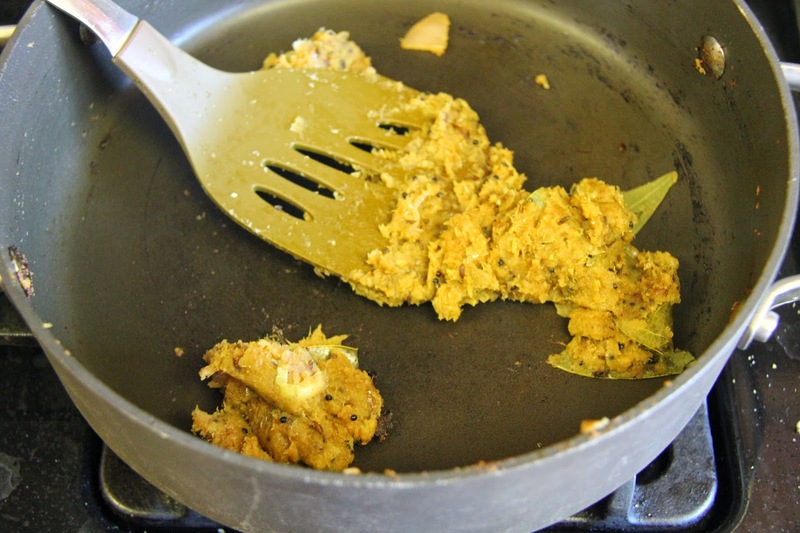 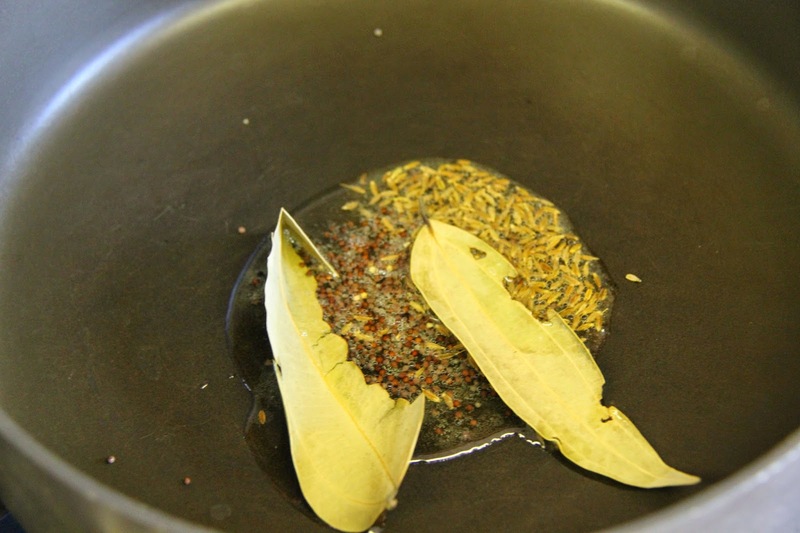 5.Heat the ghee or oil in a separate pan,add mustard seeds and let splutter.Add cumin seeds and bay leaf and saute for 1/2 minute. 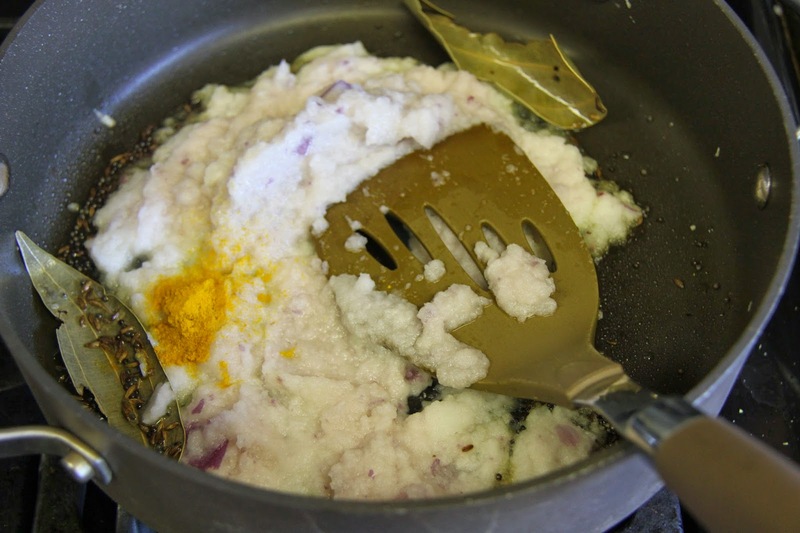 6.On a medium flame,add the pureed onion,salt and turmeric powder and saute the paste until it comes together in a single paste and turns golden,the raw smell of onion should go.If you are a beginner, use chopped onions instead of puree. 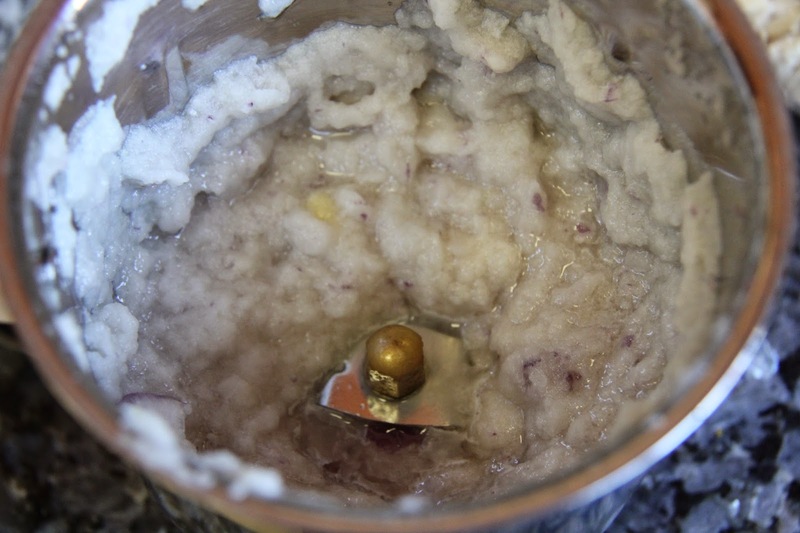 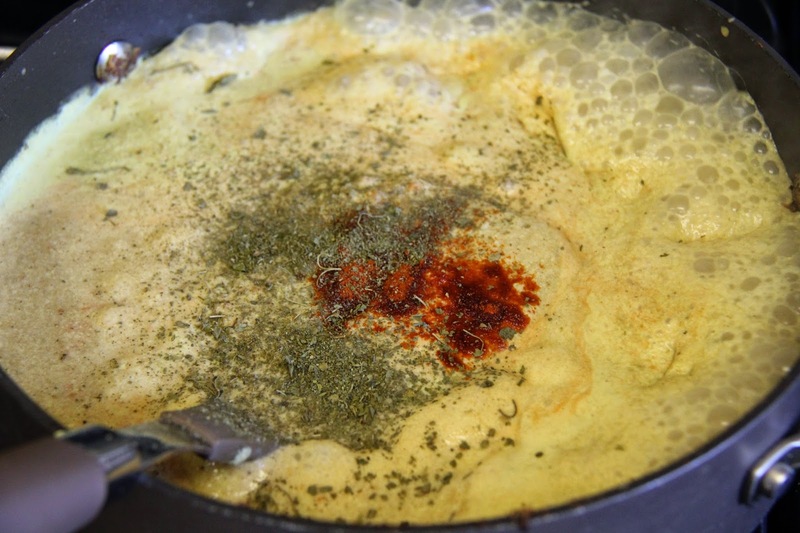 Onion paste needs patience to cook properly(about 20 minutes) or it will spoil your entire dish. 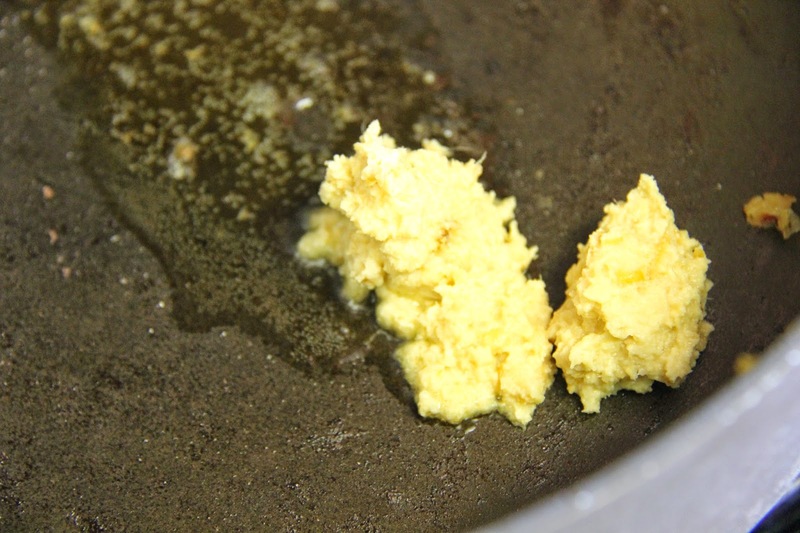 7.Add ginger garlic paste and saute for 2 more minutes. 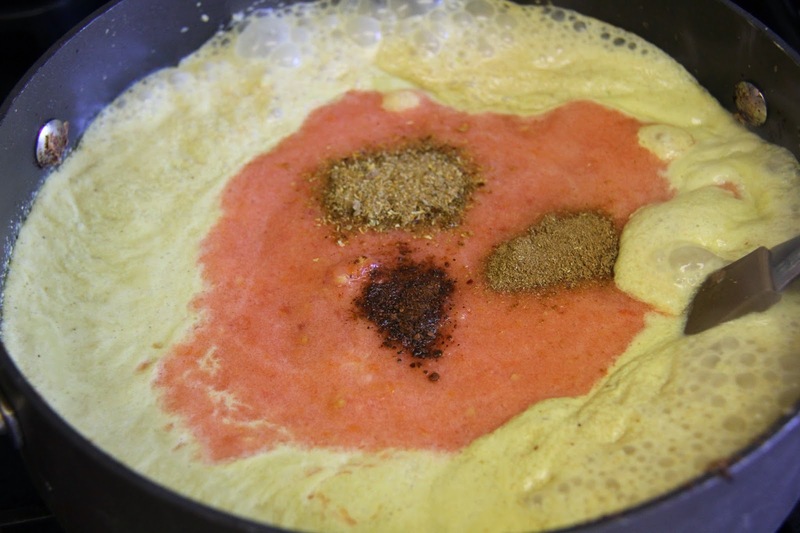 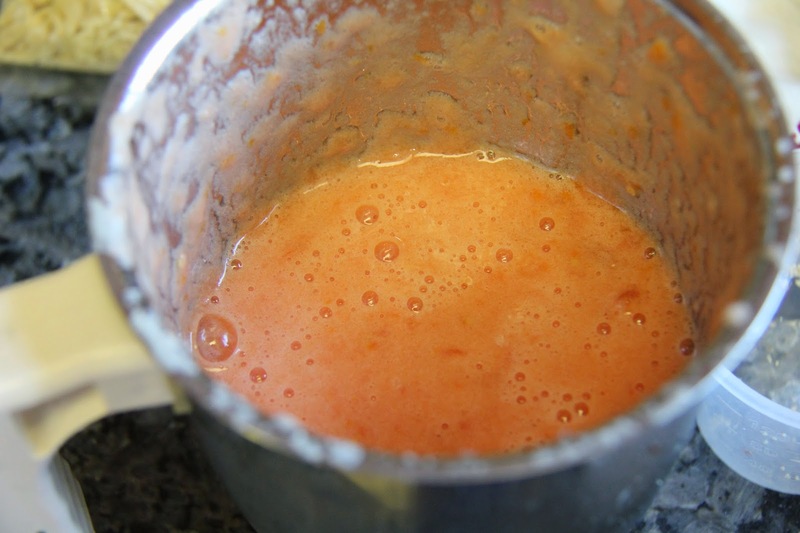 8.Add the pureed nut paste,tomato paste and the rest of the spices,mix and cover with lid and let simmer for about 20 minutes until the oil floats on top.Adjust spice and salt. 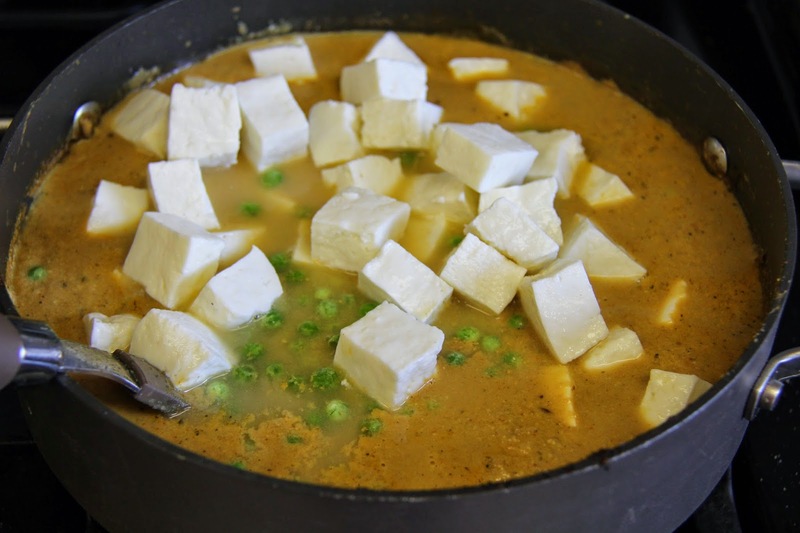 9.Add the paneer cubes and peas and let cookabout 6 minutes and turn off the flame. 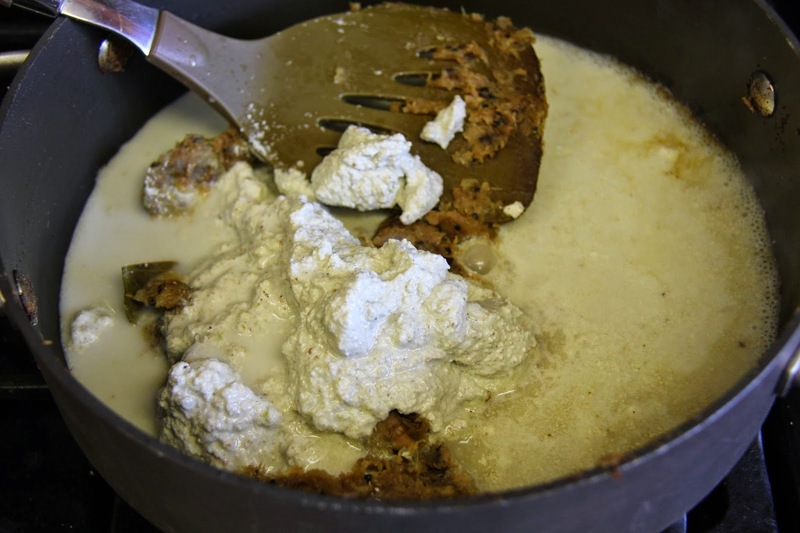 If you wish you can add 2 tablespoons of cream in the last step to make the gravy richer.